He's just 2 months old and super cute. Please SHARE, he may need some help. Think of a time in your life when you felt worthless like nobody cared whether or not you were taken care of both emotionally and physically. Only then can you begin to empathize with a small pup by the name of JORDY, who languish behind in the high kill Carson Shelter, praying for a miracle. 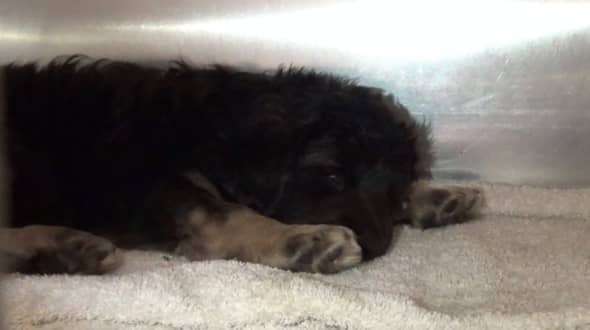 #A5187177 My name is JORDY and I'm an approximately 2 month old male German Shepherd. I am not yet neutered. I have been at the Carson Animal Care Center since 6/8. I will be available on 6/12. You can visit me at my temporary home at C408. 1 Response to "Still listed! urgent! frightened 2 months old german shepherd in the high kill carson"